(1) No, we do not get to travel for free. Being a flight attendant does not mean that I get to travel for free. Yes, we do pay relatively cheaper prices than the average passenger but we still have to pay! Of course, when I was working I did not have to pay to travel to amazing destinations – that was quite the perk. However, when traveling for leisure, flight attendants do have to pay, but only the tax. Also, when we travel for leisure we have to fly standby meaning that we only get on the flight if there is space! Probably one of the most nerve-racking experiences is flying standby but those stories are for another post. Do not order Diet Coke on the airplane, I repeat do not! Pouring Diet Coke while at 37,000 feet is one of the most tedious tasks. When 250 passengers are staring at you, under-fed and under-watered, the flight attendants want to make sure they get through that aisle a-s-a-p (as-soon-as-possible). Ordering a Diet Coke takes an eternity; well at least relative to pouring apple juice or water (yes, I know, there are worse things in the world). It is something to do with the combination of the pressure in the cabin and the aspartame and carbonation of diet coke that makes it impossible to pour – it just keeps foaming and foaming with every drop. Sadly enough flight attendants are also not served gourmet meals on airplanes. Yes, we eat the same airplane food that the passengers eat. This means we usually pack our own meals because we all know how terrible airplane food is. The pilots on the other hand receive Michelin Star meals in comparison, leaving the flight attendants to fight over who gets their leftovers. Extreme turbulence is one of the most unlikely things to happen to you while on an airplane. Not only have I never heard of this happening to anyone in the aviation industry but pilots are trained to fly around patches of air that are unsafe. The pilots know what they are doing. When the plane does hit turbulence it is usually on the light-end of the spectrum, so please remain calm and loosen your grip on the armrest. The routes that flight attendants receive on their monthly schedule are determined by seniority. Basically seniority is determined by our date of hire. 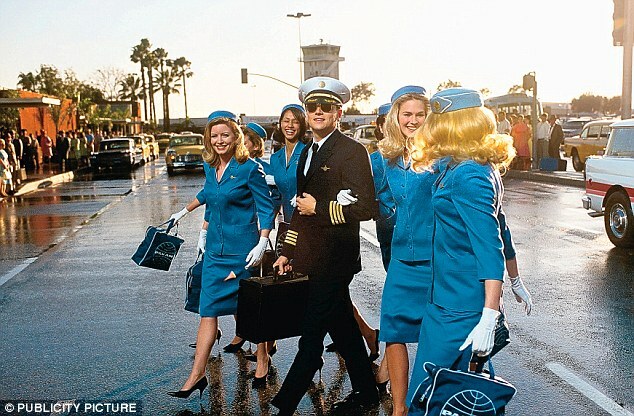 When I was flying I was fourth-last of almost 500 flight attendants for an entire year. That meant that I was doing all the less-glamorous flights, such as Orlando, Florida and Kingston, Jamaica – I know, you’re probably thinking that those don’t sound so bad. However, in comparison to doing the Honolulu or the Barcelona routes, they were less than admirable. (6) If the airplane door is open, we are not getting paid When the airplane door is open and everyone is boarding the plane, the flight attendants are not getting paid. This is often one of the most shocking facts for people but yes, it is true! The entire time the flight attendants are helping you put your bags away, sit your child in their seat, or serving you water, all while the door is open….they are not making any money. This is a standard across the entire airline industry. I do not know why, but it just is. Competition for landing the flight attendant job is fierce! So many people had the dream of one day working as a flight attendant but only a select few get chosen. For example, Air Canada rouge received more than 16,000 resumes for one hiring period and maybe 1000 people were hired. During the Pan Am days in the 1960s, there were strict requirements for stewardesses: They had to be at least 5-foot-2, weigh no more than 130 pounds, and retire by age 32. They couldn’t be married or have children, either. Since then, rules have definitely become more relaxed but there is still a height requirement in place. Airlines set the minimum height requirement because flight attendants need to be able to lift and close objects of a certain weight. Some airlines even have a height cut-off, meaning you can be too tall. (10) I am trained in firefighting, first aid, and know how to take you down. Yes, all of those above statements are true. Flight attendants go through rigorous training before they start. We are trained extensively in first aid because medical situations happen more often than you think – do not worry, you are in good hands. Firefighting skills come in really handy if anything were to happen. Lastly, flight attendants aren’t afraid when it comes to unruly passengers. Is there anything else that you would like to know? Comment below and I’ll give you my insight! Next Post How Does Your Airline Market Itself? Very interesting… I have no idea!